Ling Sound / Fish maw is the commercial term for the dried swim bladders of Ling fish of New Zealand. And ling fish is the only source of New Zealand fish maw so that’s also called ling sound. It has no fishy taste and absorbs the flavors of other ingredients. Fish maw is a good source of collagen and helps with blood circulation. It’s high in nutritional content. 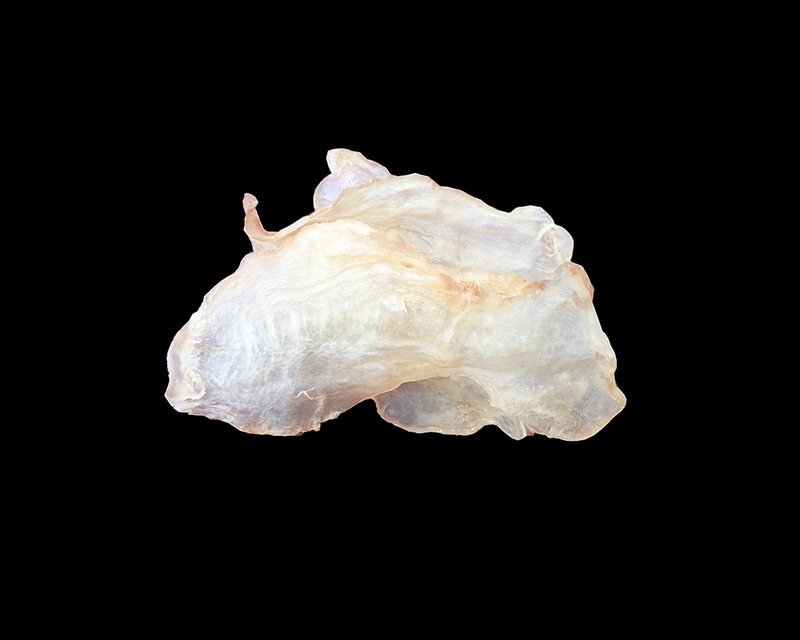 Fish maw contains rich proteins and nutrients such as phosphorous and calcium. It replenishes kidney and boosts stamina. It is effective in healing weak lung and kidney, anemia, etc. It is suitable for consumption by any age group of either gender and is a kind of therapeutic food. The most important of all is that fish maw contains high viscosity gel protein and muccopoly saccharide which are important to lady’s skincare and capable of preserving fine complexion and invigorating blood circulation. 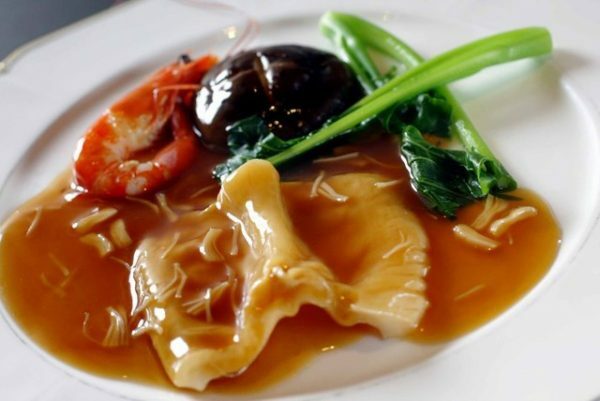 Many Chinese people believe that drinking fish maw soup and eating fish maw will improve their skin and, for pregnant women, the skin of their babies. Furthermore, fish maw does not contain cholesterol and therefore it is a very valuable health enhancing ingredient suitable for long time consumption. Fish maw a suitable alternative for shark’s fin and bird’s nest in soups or stews. How to prepare fish maw before cooking? Fish maw require pre-soaking before cooking. The soaking time will vary depending on the type of fish maw. – Soak fish maw in water for 12-18 hours until it soften. – Change water from time to time and rinse with cool water to eliminate its fishy smell. – Put ginger and shallot into a pot of fresh water and boil. Turn off the heat after the water is boiled. – Put the soaked fish maw into the pot and tightly covered with the lid. Wait until the water cools down. – Take out the fish maw and rinse with clean water then it is now ready for cooking. 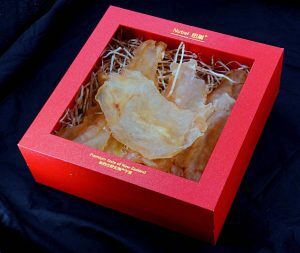 – Soaked fish maw should be stored in the refrigerator at below 0°C if not cooked. Thaw each time before serving.